The EUROCOM Armadillo 2 provides a fantastic combination of Intel 5th Generation, 14 nm, Broadwell processor and high performance, fully upgradeable memory up to 32 GB. Upgradeability and customizability are crucial for Eurocom systems, customers can choose their ideal memory and storage configuration for their needs through the two memory modules, which support two 16 GB modules for 32 GB of memory and customizable storage support comes from one mSATA drive bay and one 2.5” 7mm HDD/SSD bay for up to 2 TB of SSD storage. The Armadillo 2, 14” Ultrabook laptop has a brushed aluminum chassis for industrial grade ruggedness with the beauty of a sleek 21mm Ultrabook. A sleek brushed metal exterior is fashioned after the rough exterior of the tough, rugged little Armadillo for a heavy duty mechanical design for on the go computing. With the convenience of a tablet and the capability of a laptop, the 14” EUROOCM Armadillo 2 is built for the new age of mobile power user. In contrast to many Eurocom models, where performance and capability are the number one priority, the Armadillo 2 was designed to be a perfect every day companion by being very easy to use. It is designed to be small, lightweight and easy to carry around while offering adequate performance and many features only found in the most luxurious of systems. Noise cancelling high fidelity audio recordings are possible with dual microphones for the most professional of video conferencing capability. An enlarged touch pad with two buttons is there for its great feel and ease of use. 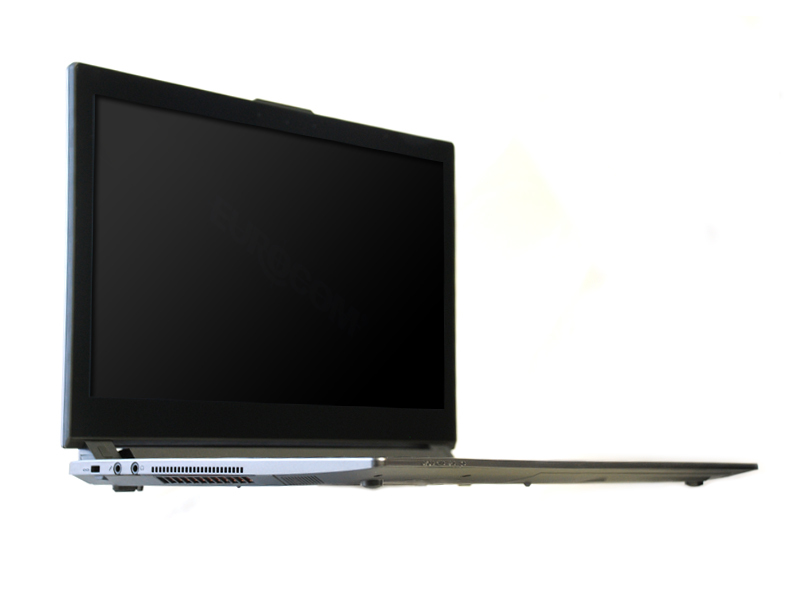 The high-end, luxurious design is capped off with a beautiful brushed Aluminum chassis that really sets the EUROCOM Armadillo apart from other low cost, low quality Ultrabook’s on the market. The beautiful 14” FHD 1920x1080, display will take your breath away with massive pixel density and allow users to enjoy their little Armadillo 2 like never before.